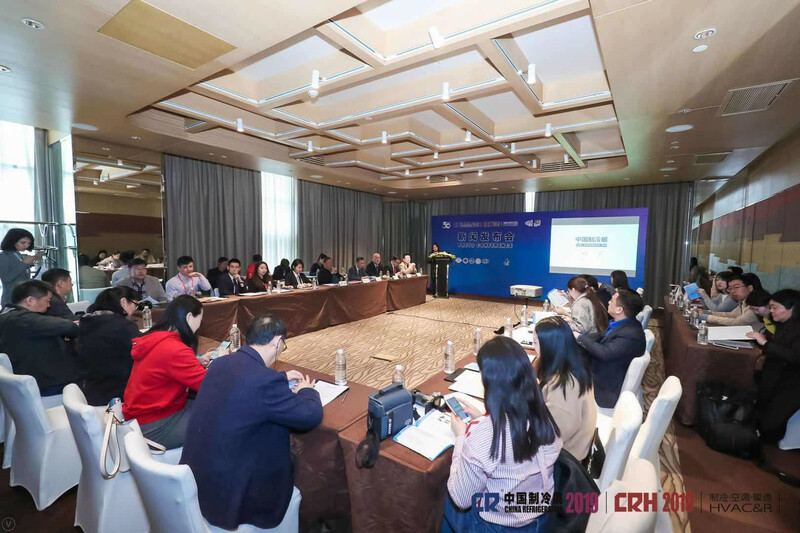 On April 4, 2019, the press conference of the 30th international refrigeration, air conditioning, heating, ventilation and frozen food processing exhibition (" refrigeration China 2019 ") was held at zhuomeya Himalayas hotel in Shanghai. Beijing municipal CCPIT Chai Yingjie, deputy director of the Beijing international exhibition center from flying, king of vice secretary of China refrigeration association, China refrigeration and air conditioning industry association deputy secretary-general jun-wen bai, Shanghai refrigeration institute director guo-liang ding and Shanghai refrigeration air-conditioning industry association secretary-general Shao Naiyu sponsor representatives as well as more than 30 industry and mass media to attend the conference. 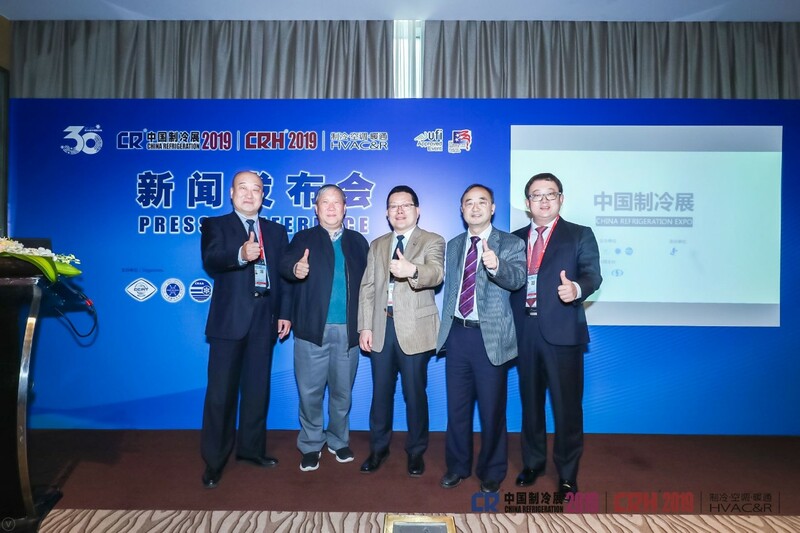 Deputy director chai yingjie, on behalf of the organizing committee, introduced the development history of China refrigeration exhibition and the overall situation of the exhibition in 2019. Was founded in 1987, China refrigeration show after 30 years of development has become one of the world's largest industry professional exhibition, the association has international exhibition organizers (UFI) and the U.S. department of commerce (US FCS) two authoritative international certification, and with the global more than 30 industry groups to establish a long-term relations of cooperation, constantly enhance the brand influence around the world. Under the theme of "cooperation, innovation and common development", China refrigeration exhibition 2019 covers a total area of 103,500 square meters, with 1,175 exhibitors from 33 countries and regions, including 4 international delegations from Europe, the United States, South Korea and India. This year's China refrigeration exhibition will hold 4 themed BBS and 28 symposium, inviting domestic and overseas government departments, experts and scholars, industry organizations and representatives of relevant United Nations agencies to exchange and discuss hot issues and cutting-edge issues in the industry. During the exhibition, the launching ceremony of innovative products of China refrigeration exhibition 2019 will be held to award certificates and MEDALS for 35 products of 27 enterprises. The organizing committee will organize the visiting group of the general workers of the national design institute, the visiting group of the general workers of the refrigeration and refrigeration industry, the visiting group of high-end hvac users and professional buyers to visit the exhibition and have in-depth interaction with exhibitors. Within the area to set up the ozone climate technology zone roadshow, ammonia security applications and heat pump, reveal the organizing committee of the practice of the concept of green environmental protection and social responsibility. Conference, the organizing committee will concern of the media has carried on the communication and discussion, a warm atmosphere. The organizing committee of China refrigeration exhibition will continue to be committed to building an international, diversified and professional comprehensive exchange and exhibition platform, providing all-round services to exhibitors and industries, constantly promoting the innovative development of China's refrigeration, air conditioning and hvac industry, and striving to create a better living environment for the people.